Need help? Looking for advice from previous participants? 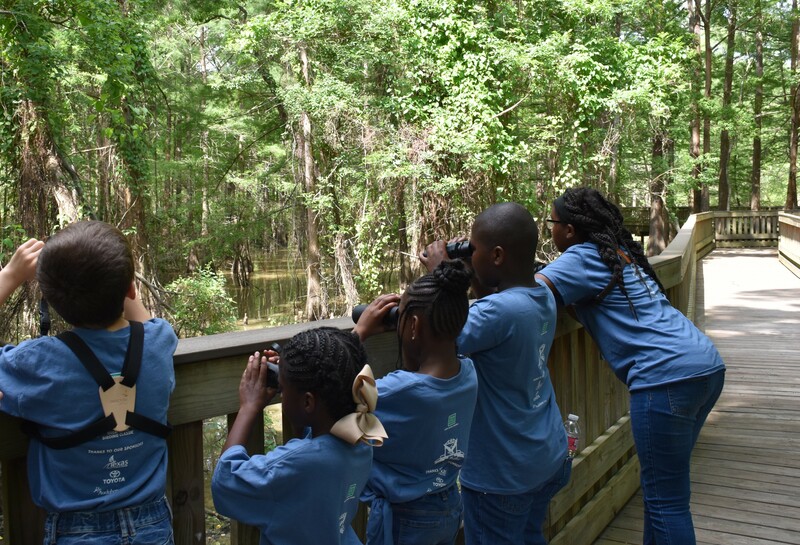 GTBC EZ Guide - a complete guide for site managers and community leaders who want tips on how to promote their team(s) locally, manage team members for team-building or for a public event, apply for bird conservation grants, find sponsors, and more! Big Day Regional Tournament Strategy - Strategy advice from a winning team member and past participant in various tournament categories on how to best take on a "Big Day" of birding. Weeklong Tournament Strategy - Strategy advice from a multi-year winning team's captain on how best to tackle the whole state over multiple days. How to Field a Big Sit! Team - Tips from past teams to help make your Sit! go smoothly. How to Plan a Team for the State Park Tournament - Tips from some state park staff and past participants to help you start your team! Mentor/Chaperone Tips and Activities for Youth Teams - Advice from several past youth mentors and chaperones on how best to engage and prepare the 18 and under set. Includes game ideas! Blind Birders Tip Sheet - Guidance from blind birders on best ways to assist while in the field. How to Find a Sponsor - Suggestions on how to find a great local or corporate sponsor to help pay your entry fees (and maybe your travel expenses). Want a sneak peek of the Birding Classic? View the video below!